On the hunt for a Kia dealer near Rydal? Look no further than Sussman Kia! At our Rydal Kia dealership, we offer the wide selection of new and used Kia vehicles that you need to find the perfect vehicle for you. We don’t stop there, though. On this page, you’ll find more information about what we have to offer as a full-service Kia dealership near Rydal. Read ahead to learn more about our inventory, finance team, and Kia Service Center! 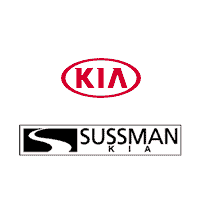 At Sussman Kia, we proudly carry a wide selection of new and used Kia vehicles for you to choose from. 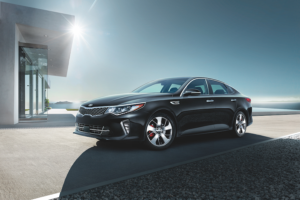 We have all of the newest and most highly sought-after models in stock, including the 2019 Kia Forte, the 2019 Kia Optima, the 2019 Kia Sorento, and the 2019 Kia Sportage. Also, if you’re looking for a quality used Kia vehicle, we can get you matched up with a model that makes the most sense for your needs. Bring in your next-car wish list, and our knowledgeable sales team will help you navigate your many options in our showroom and lot. After our sales team has you paired up with a Kia vehicle that meets your needs, they’ll introduce you to our friendly finance team. Whether you’re thinking about leasing or buying your next Kia vehicle, our finance team will work hard to find you a payment plan that you feel confident about. We know how much you rely on and care about your Kia vehicle. That’s why we provide our new and returning customers with a convenient full-service Kia Service Center right on site. 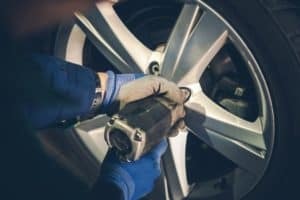 Bring your Kia vehicle back anytime for routine maintenance or unexpected repairs, and our team will get things back to normal for you in no time. Once you’re behind the wheel of your next Kia vehicle, it’s time to explore Rydal and the surrounding areas. Take a drive to nearby Alverthorpe Park to spend the day in the fresh air and sunshine. You can also gather a group of friends, and head over to the Noble Town Center to do some shopping at the Baederwood Shopping Center. While you’re there, grab a bite to eat at one of the delicious eateries the area has to offer, like Sushi House or Snap Custom Pizza. We at Sussman Kia are thrilled that you stopped by today to learn more about who we are and what we have to offer as your Kia dealership near Rydal. Now that you’ve had a taste of what we do here, we hope you’re ready to get the ball rolling on finding your next Kia with us. Browse our entire new and used Kia inventory right on our website. When you find something that you can see yourself in, give us a call at the dealership to schedule a test drive!